Can you believe it is April already?! The time just seems to be flying by, but on the plus side that means spring is right around the corner in MN. 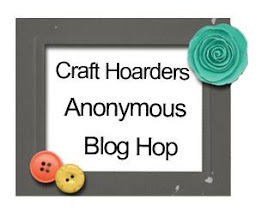 It is time for another challenge over at Craft Hoarders Anonymous. Gloria is challenging us this time to create a project using stamps. Challenge #5 Pick a Stamp, Any Stamp! You don't have to be a card maker to hoard stamps! With the popularity of pocket-style scrapbooking and the explosion of journaling stamps on the market, many scrapbookers have also become stamp hoarders. Plus, digital stamps are more popular than ever. I am sure that most of us have at least one stamp in our stash! 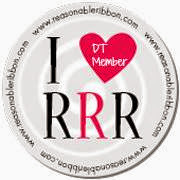 You may "collect" wood mounted stamps, clear stamps, cling rubber, or even digital! Get one out, dust it off, and make it the STAR of your project! We want to see a stamp (sentiment, word art, image, etc.) as the focal point of your project! Feel free to use more than one stamp, but you must have AT LEAST ONE stamped item on your project. Hampton Art is our sponsor for the month of April. We are changing it up a bit for April. There is going to be one BIG prize at the end of April for all those that participated through the month (contents not included). Hampton Art, founded in 1980 in picturesque Long Island, NY, has been inspiring stampers, crafters and papercraft enthusiasts for over 20 years. 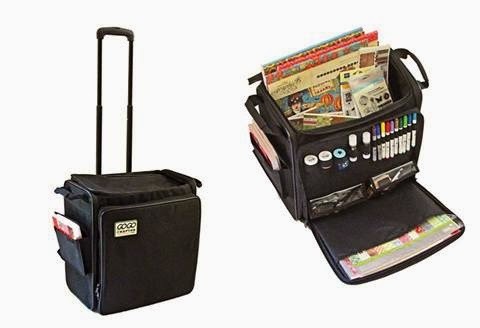 One of the earliest “art stamp” companies, Hampton has transformed over the years to become a complete provider of creative products such as stamps, inks, papers, k...ids crafts, stationery, scrapbooking supplies, and card making accessories for crafters of every age and skill level. We focus on working together with other companies through strong, personal relationships and licensing partnerships to consistently bring fun, inspiring products to market. We have a portfolio of brands including Hampton Art™, Studio G™, Diffusion, Ditto™, and our latest addition, Ki Memories®, acquired in 2012. Our products can be found via most national craft retailers at over 5000 stores across the US and Canada. We also ship to 20 different countries across the globe. Hampton was acquired by National Spinning Co, Inc. of Washington, NC, our current home, in 2008. For more information, visit our Website. 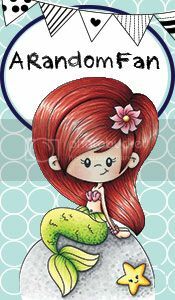 Here is the card I created for this challenge. The stamp is a 7 Gypsies wood stamp I have in my hoard. I stamped it onto Bazzil 40# Velum with Versamark ink and then heat embossed it with silver embossing powder. The background of the card was created using the MFT Modern Morocco Die-Namics over KI patterned paper. I finished the card up with some lavender flat back pearls and mulberry flowers. I hope you enjoyed my card today, and it inspires you to come and join us for the stamp challenge. 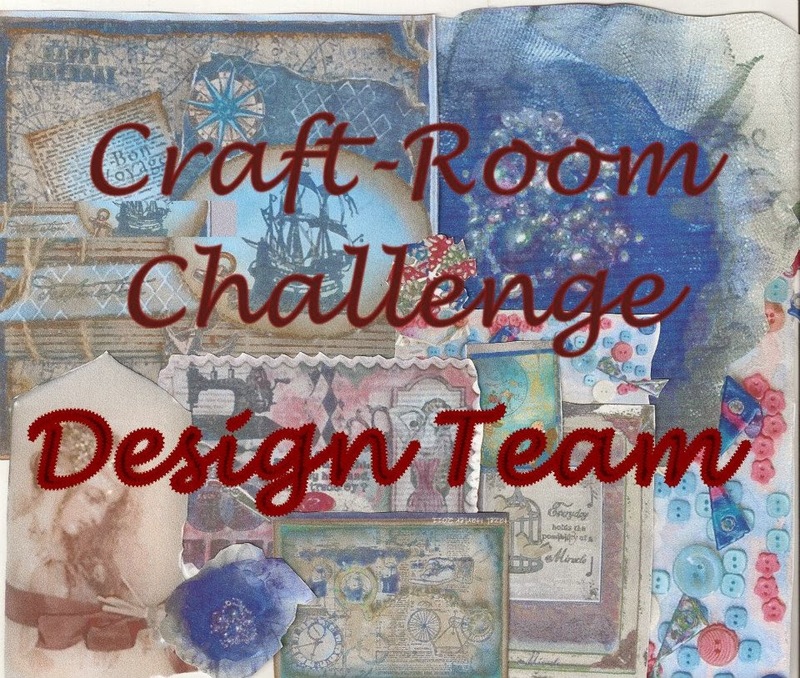 Head over to the blog and see what the other talented designers have created. Have a wonderful week! The stamping on vellum is so gorgeous! I love the touch of color from the lavender flowers, too. Absolutely gorgeous card! This is a show stopper! I just want to stop and stare! One very classy and beautiful card, to be sure. Stunning. Beautifully elegant card. Love the embossing on vellum. Gorgeous Card Amber...I haven't stamped on Vellum in ages...think I have some somewhere...going to give it a try. This is so elegant! Love the embossed vellum and the contrast with the lilac! Beautiful work! Pam, your card is absolutely beautiful! I love the silver embossing on vellum with the lilac! I just love the black and silver combination on this card. So very very elegant. I love that you embossed vellum, I double love the background, and I triple love those flowers! Homerun! woot! What a gorgeous card! I love the black and white paired with the soft color of the flowers. So pretty. Great card! I really like the idea of embossing your sentiment. Great color combo with the black and purple flowers. So pretty. Very classic and elegant combination!!! Beautiful purple flowers.